There are times youre just not in the mood to share the deliciousness of SPAM® Classic. We dont blame you. 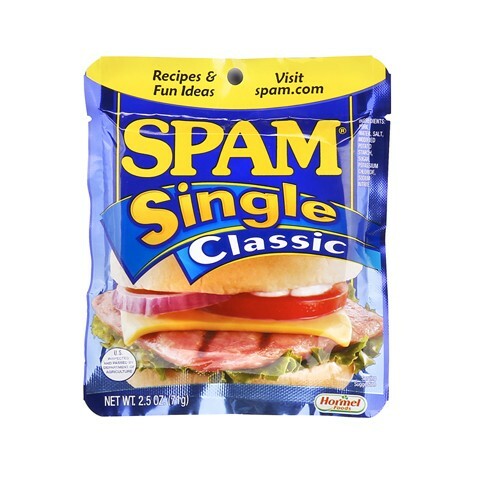 For those occasions, and any that demand sheer convenience, theres already cooked SPAM® Singles. Perfect for a quick snack or in a sandwich, you probably shouldnt leave home without one. *ADDITIONAL SHIPPING CHARGES WILL BE ADDED ON ANY FLAVOR. **CANNOT SHIP THIS PRODUCT OUTSIDE OF THE UNITED STATES.